Black Up Contouring Stick's official description : "The Contouring Stick makes contouring easy, allowing you to sculpt light and shadows on the face like a makeup pro. Its buildable, creamy texture produces a powdery finish, blending seamlessly onto the skin. It can be applied with the fingers, a sponge, or a brush, resulting in a flawless look and redefined features. 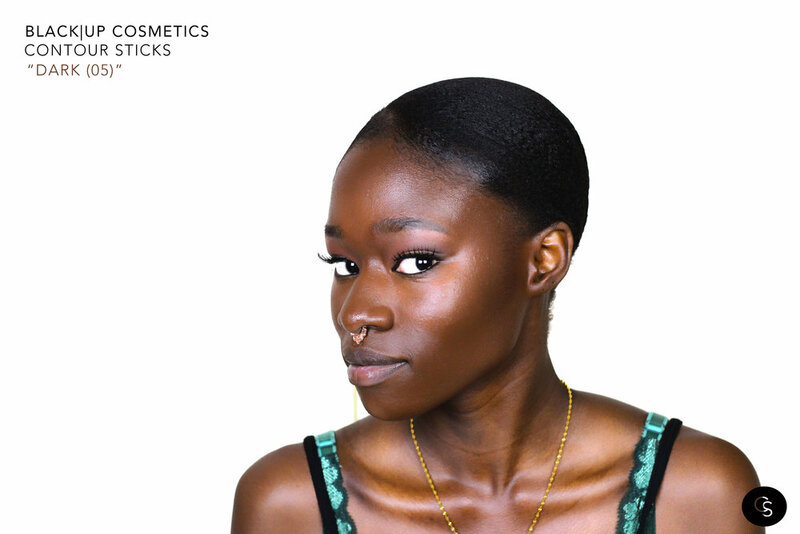 The lighter shade on one end of the stick should be a tone lighter than your skintone, and the darker shade on the other end should be two shades darker than your skintone. Use the included instruction guide to highlight and contour like a pro." Check out a short pictorial on how I use the Contouring Stick in "Medium" below. Step 1 : Use the darker shade of the stick, or the "contour" side and apply lightly around the perimeter of the face and directly under your cheekbone to sculpt. Use a brush or a beauty blender to blend. Step 2: Apply the lighter shade of the stick or the "highlight" side right under the eye, in the middle of the forehead, and any other place you would like to highlight on your face. As you can see below, I have applied the lighter shade right below the contour to further enhance the sculpted cheekbone. Note: Steps 1 and 2 are interchangeable. I used to do my highlight first until I saw this video on Instagram by celeb MUA @rennyvasquez and fell in love with the technique. You can also apply both at the same time and blend together. The Black Up Contouring Sticks make it super easy to highlight and contour quickly. And I love that shade range seems to really have people of varying complexions in mind. The formula is super creamy and blendable, taking valuable minutes off of your makeup routine. You can even use this without any foundation. 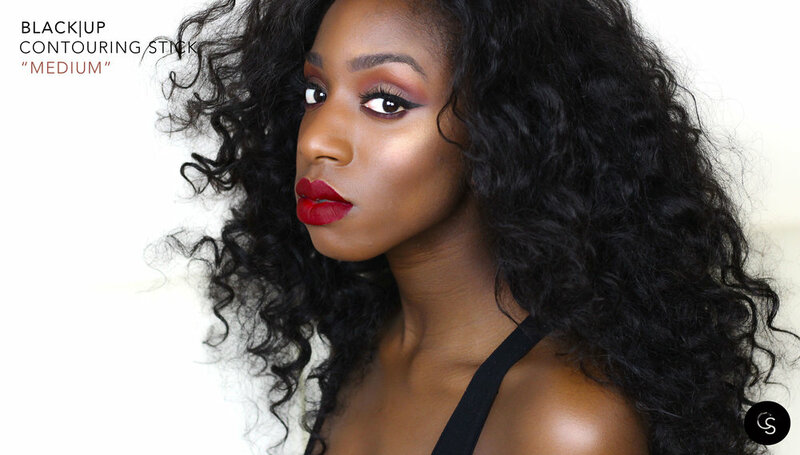 You can purchase Black Up Contouring Sticks for $42 each here. For more swatches, download the Cocoa Swatches mobile app on iPhone or Android devices.